Time for a fresh pair of gloves? In this buyer’s guide, we’ll review the 9 best boxing gloves for sale in 2019, including options for training and sparring, as well as a few gloves which are perfect for beginners. After that, we’ll discuss some key things to consider when buying, so that you know exactly what to look for when shopping. Let’s start with the basics. In this part, we’ll review the 3 best boxing gloves for those new to martial arts. These gloves are reasonably-priced, basic options with exceptional padding – allowing you to get used to throwing punches without worrying about injuring yourself (or others). They’ll help you hone your technique with minimal fuss. For beginners, you just need the basics covered: good protection and comfort at a reasonable price. The Sanabul Essential ticks all of these boxes. There’s a mesh palm, which helps to make the glove more breathable and keep you comfortable when training. Critically, it also comes with thick foam over the knuckles, which has been infused with gel for additional protection. Even if you get one of the lightweight varieties (8-12oz), you still have the cushioning you need for bag work. Due to its synthetic construction, the Essential is great value for money, however the durability could be better. You should still get a year or two of use out of this glove though. Sanabul have gone for what they call a “hook and loop” closure system. This Velcro strap makes the glove really easy to put on and take off, but still offers a nice tight fit. What’s more, this glove comes in a heap of different colors, so you can find something that matches your aesthetic, or works with your shorts. For the price, we can’t really fault the Essential apart from its durability – it’s a great option for beginners. Another glove with gel-infused padding is this option from Hawk. However, unlike the Sanabul Essential we just looked at, this product comes with an extra block of cushioning over the wrist joint for extra protection. These are also some extremely durable gloves. The synthetic leather is incredibly tough, and the seams won’t split on you even after hundreds of hours of training. Although the internals aren’t quite as tough as they are on more expensive options, Hawk offers a 1-year warranty against defects, which is a great thing to have with such an inexpensive glove. The fit is also fantastic, and you get a thumb lock to prevent eye gouging if you’ll be using them for sparring. As you’d expect on this sort of glove, you get a simple Velcro closure which makes them easy to put on. They’re pretty comfortable – Hawk have included vents in the palm to help keep your hands cool, and they do a reasonably good job. To be honest, the only real downside to Hawk’s gloves is the lack of style choice. You can get them in black or white – no other options are available. Well-padded – extra wrist protection included. Comes with a thumb lock. These gloves are a little more expensive than the other two beginners’ options we’ve looked at so far. But what do you get in return for the extra cash? 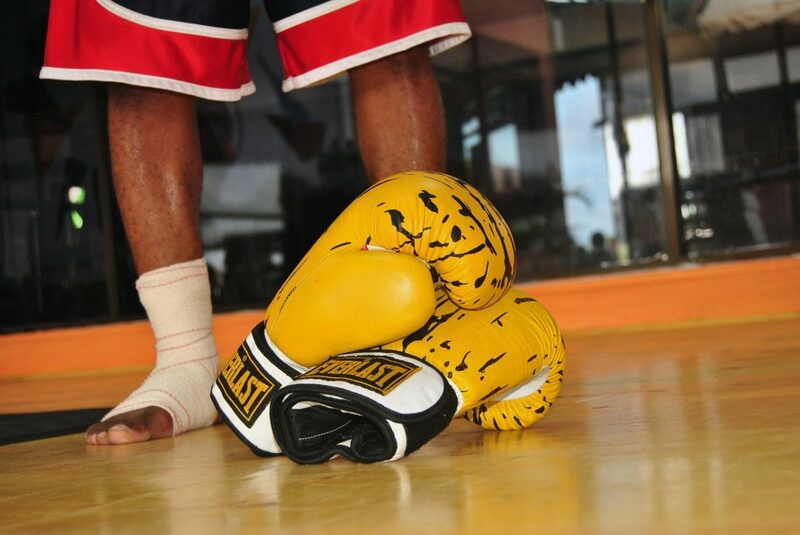 Everlast have designed the Pro Style to provide the best-possible comfort when fighting or training. You get what they call a “grip cord”. This is basically a soft lateral piece of material you hold as you clench your fist, making hard impacts that little bit less painful and helping to get your fingers in the optimal position to prevent injury. This glove also comes with a nice one-piece design, which fits your wrist really snugly. Because there are fewer seams, there’s less chance of the glove splitting, which is a nice thing to have. However, despite the above-average price tag, this glove is still made of synthetic leather rather than the real deal. It will last a really long time, but it won’t quite last a lifetime. The color options are pretty good, and the cell-based foam padding does an excellent job – your sparring partner will love you for buying these gloves. But they also function really well for individual training if you pick up one of the lighter sizes. Snug one-piece design, which just works – great fit. Comfortable even when punching due to the grip cord. Synthetic leather – slightly disappointing considering the price. For heavy bag or mitt work, you’ll want lightweight gloves you can use to hone your technique. However, you also want a relatively durable option, to avoid the seams or knuckles splitting during particularly intense workouts. Let’s look at 3 of the best boxing gloves for training. This is another Everlast glove that fits incredibly well. In intense bag sessions, it pays to have something that’s really comfy, otherwise your wrists can get incredibly fatigued. Like most of their other gloves, Everlast have crafted a really exceptional ergonomic fit with this product. Provided you get the right size, you can almost forget you’re wearing them. Despite being made of synthetic leather, these are reasonably tough gloves. They can withstand hard bags and mitts, no problem at all. However, you do pay a little extra for this durability – the PowerLock isn’t a cheap glove. The best thing about these gloves though, apart from their fit, is how they actually feel to punch with. They’re really well-constructed, and have that sort of nimble aspect to them, even in the largest 16oz size. Overall, if you can afford them, the PowerLock is a fantastic option for training. Feels nice to punch with – agile. Designed specifically for bag work. Find yourself wearing out your training gloves almost immediately, no matter what type you buy? If this is something you struggle with, it might be worth just using the cheapest gloves you can find, and simply buying a new pair when they eventually split. The Title Classic is an excellent option if you need an inexpensive glove. Despite being so cheap, it still comes with a ready-curved fit, meaning you don’t have to force the material forward to make a nice fist. Rather than going for synthetic leather, Title have used plain old vinyl for the cover of this glove. Although this material is very cheap, it’s surprisingly tough stuff. However, while the knuckle covering won’t split easily, this isn’t the most durable glove out there. Ultimately, it works best as something you can use for bag work without really worrying about how they hold up. Do note though that this glove doesn’t come in traditional weight-based sizes. You can get “regular” (12oz) and “large” (14oz). The padding is pretty good on the larger size, but it can feel quite stiff initially. After a while though, it’ll soften up a bit. Good padding (albeit a little stiff). Like the first Sanabul glove we looked at, this option comes with gel-infused foam, which offers better overall shock dispersion than your average padding. The difference between the two is this glove is a slightly more advanced option, making it more appropriate for hard-core mitt work and other types of intensive training. You get a hook-and-loop closure system like on most other gloves. However, the Core Series comes with what Sanabul calls “Core-X” wrist support. This basically means that the glove’s opening is a little stiffer than it is on most other products, resulting in greater support and less chance of your wrist bending on impact. It can also help to reduce fatigue, as it means you don’t have to use so much effort to get your fist in the right position for each punch. There’s also a special type of lining designed to wick away sweat on the inside of this glove. Complementing this, it comes with mesh in the palm, helping to keep you that little bit cooler after hours on the bag. Although Sanabul says that these gloves are made of “leather”, it’s actually a synthetic material. This isn’t a big deal though considering what you’re paying. Sweat-wicking inner lining + mesh palm. Padding feels great due to the gel. Not made of real leather – this is fine for a training glove though. If you train using sparring sessions on a fairly regular basis, you’ll want slightly heavier gloves with greater levels of protection. Your sparring partner will thank you for buying well-padded gloves! This is why it pays to get a top-quality pair, potentially made of real leather as opposed to synthetics. In this section, we’ll look at the top 3 best boxing gloves for sparring. This glove was born for sparring. Not only does it come with a thumb lock to prevent eye gouging, it also features triple-density foam for your partner’s safety in the ring. In addition, the palm has been specifically reinforced to protect your knuckles for all the heavy-hitters out there. Venum have also taken comfort into account in designing their Elite series. It comes with a mesh ventilation area, strategically placed under the fist. This ensures that the glove is still breathable even when your hands are clenched. Unfortunately, this glove is made of a type of synthetic leather called Skintex, rather than real animal hide. However, we can’t fault its durability – the seams hold up nicely over time if you mostly use it for sparring. The Venum Elite isn’t exactly cheap, but it’s not really expensive either. As an all-around glove you can use for sparring, it does a pretty fantastic job. These are the only hand-made, genuine leather gloves we’ve reviewed on this list. They’re fantastically well-designed, but this comes with a significant downside – they’re very expensive. The main thing you get in return for the extra cash is an exceptional feel, right from the word go. Apparently there are five different layers of foam in this glove, and it sure feels padded. This cushioning is soft but doesn’t have too much give to it, and doesn’t require any break-in. Hayabusa’s glove also comes with their specialized closure system, which uses four splints at the back of the hand as opposed to just a Velcro strap. It’s supposed to feel like a lace-up design, without the hassle this entails. The result? Exceptional wrist support, and a nice, tight fit. 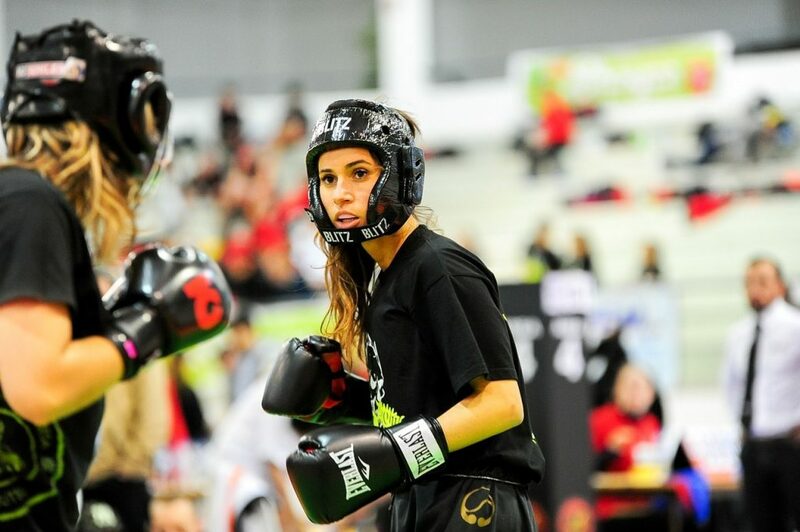 What’s more, you get anti-microbial fabric on the inside of the glove, and the Kanpeki is versatile enough for a range of martial arts, including boxing, kickboxing, and Muay Thai. For sparring, nothing beats these gloves – they’re incredibly padded but also super-nimble. Only one style is available though. Fantastic soft padding – five layers of foam. 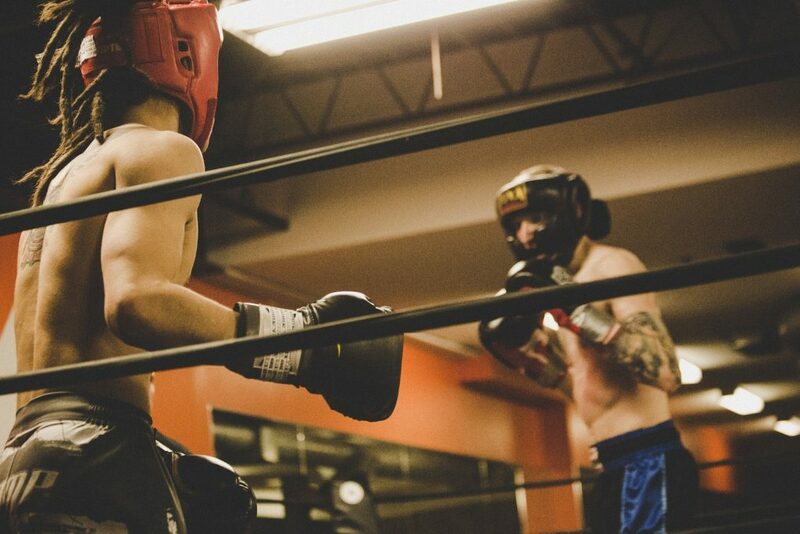 Feels great to spar with – agile gloves. Want a top-quality leather glove, without having to pay top dollar? This option from FairTex is quite reasonably priced for a real leather glove. The reason they’re on the cheaper side is pretty simple: they’ll take a week or two to break-in, and aren’t hand-made. FairTex has used a slightly harsher leather than what you get with Hayabusa’s T3 Kanpeki. The “Microfiber” in the title refers to the material used on the palm, which also has well-positioned ventilation holes to help reduce sweat buildup. You’ll also notice some of this material on the inside of the glove – it’ll stay nice and soft for the life of the gloves, provided you take good care of them post-workout. There’s also a grip bar, which makes your life a lot easier when sparring. Another great thing about this specific glove is it comes in an absolutely massive range of colors and sizes. No longer will you have to worry about finding something that both fits well and looks good. There’s also fully-attached thumb, and the durability is superb. Since they’re imported though, shipping can take a while (although it is free). Inside is well designed – microfiber cloth + grip bar makes things super-comfortable. All sizes catered for, and there are plenty of styles available. Leather – feels great on-impact once broken in. Might take 2-3 weeks to arrive. In this part, we’ll show you everything you need to know when picking the perfect pair of boxing gloves. 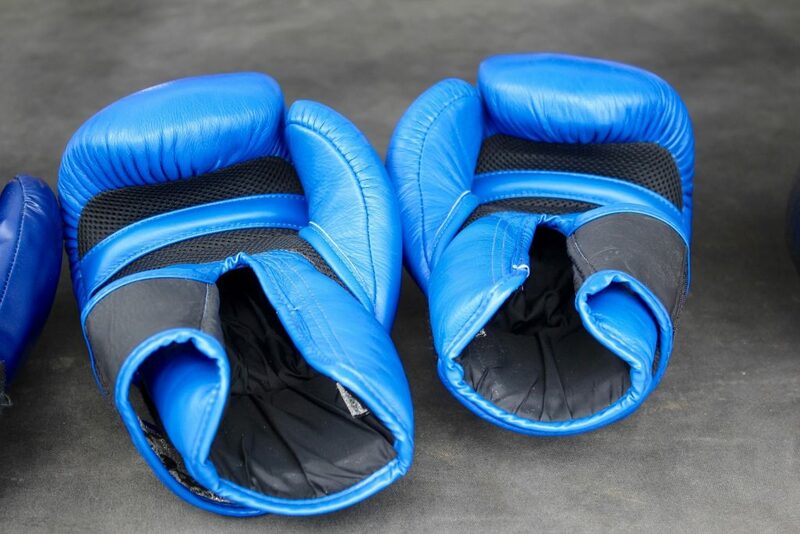 Training gloves vs sparring gloves – what’s the difference? Your bag gloves will likely wear down over time if you use them often, leaving your knuckles exposed. This can be really painful for your sparring partner. If you’re training with heavy bags or speed bags, your gloves are likely going to pick up a lot of muck. The surface of these punching bags can get covered in sweat and dirt from prior sessions or other boxers, if using public equipment. Since your sparring gloves will be in constant contact with your buddy’s mouth, eyes, and nose, it pays to keep them clean. You can wipe down your training gloves, but you’re unlikely to get every last bit of dirt from them, and doing this often takes a lot of time. For most athletes, training and sparring serve two completely different purposes. Most boxers like to just use the bags to hone their technique and punching speed, and train their strength using weights. Therefore, to enable nimble movement, it pays to have lighter gloves for bag work. But you don’t want to injure your sparring partner, so most people buy a heavier, better-cushioned pair of gloves for simulated fights. So, the difference between sparring and training gloves depends on personal preference. Most people like to get a fairly lightweight but super-durable glove for doing bag work, and a well-padded, slightly heavier, possibly more expensive glove for sparring sessions. What weight of glove should I get? Boxing gloves will weigh anything from 6oz (kids’ sizes) all the way up to 20oz. Essentially, the heavier the glove, the more protection offered, for both your knuckles and your sparring partner. However, lighter gloves allow you to be more nimble. This is why professional boxers use 10oz gloves during their actual bouts – this enables them the best-possible performance. Boxers in a weight category lower than lightweight may use 8oz gloves for even greater speed. For sparring, getting a good-quality 16oz glove for the safety of your partner is a good idea. On the other hand, for bag work, it’s safe to go down to 10-12oz. If you’re planning on competing in official fights, it’s worth checking what the rules are, so you can get used to a similar weight to what you’ll actually be fighting with. Also consider your body weight. If you currently weigh less than 110-120lbs, 16-20oz gloves are going to feel a little cumbersome (more on this below). I’m a total boxing beginner – what should I look out for? As someone who’s new to martial arts, you want to make your life as easy as possible while you learn the basics. Boxing is a particularly tough sport to pick up. Therefore, you should get balanced gloves. Look for something heavy enough to offer adequate protection (since your fingers won’t be used to the impacts this sport involves) but light enough for you to practice your technique properly. Your first pair of gloves is unlikely to be your last, so don’t spend too much. Learn the basics with a basic pair of gloves, then move onto a more advanced option once you figure out exactly what you like/dislike in a glove and the features you need – see if you like the feel of a grip bar for example. Synthetic (normally PU) gloves are the cheaper option. You’ll see them advertised as synthetic leather. Although they’re very cost-effective, they’re not incredibly durable and don’t feel as nice to wear. Genuine leather boxing gloves are what serious boxers use. They’re more expensive than synthetic options, but will last longer, offer greater protection (assuming the padding is decent) and provide the best-possible wrist support. For beginners, or those looking for a pair of training gloves you can abuse the hell out of, picking up synthetic gloves is perfectly fine. However, if you take your boxing seriously, are looking for a pair of sparring gloves, or just want the best performance out there, it’s a good idea to buy a leather option. In the long run, these types of gloves can actually be cheaper, because they don’t need replacing as often. Boxing gloves aren’t sold in sizes as such, you just get to pick a weight. If you’re trying on gloves in-person, always put on your hand-wraps before the actual glove. You can actually use them to allow your hand to fit in a bigger glove. Remember, these are guidelines only. You can still use 12/14oz gloves if you weigh more than 180 pounds and want something lightweight for bag work. It’s also possible to wear 16oz gloves if you’re under 150lbs, but you might need a slightly thicker hand wrap. You should always be on the lookout for gloves with something called a thumb lock or a fully-attached thumb. This is basically a safety feature which forces your thumb to be positioned snug with the rest of your hand, keeping it tucked in. These thumb enclosure designs help to prevent injury – both for you and your sparring partner. For example, they can prevent eye gouging, and help stop your thumb being bent at an unnatural angle as you make contact. Thumb-locks aren’t 100% necessary for training purposes, since you can’t poke a mitt’s eye out (although you can jam your thumb). They’re definitely recommended if you’ll be sparring or fighting with your new pair of gloves though. It’s important to look after your gloves, especially if you have a really nice pair you use for sparring/fighting. The first thing you should do after each session is spray the inside with a little tea-tree oil to kill off any microbes which could cause smells. Having anti-microbial fabric on the inside can help to do some of the work for you. Then, dry off any excess sweat from the inside using scrunched-up newspaper – if you use a good-quality hand-wrap, there should be minimal leftover moisture. If necessary, you can also put your gloves in the freezer overnight (in a plastic bag) to kill off any leftover bacteria. It’s also a good idea to regularly wipe down the outside of the glove with a damp microfiber cloth to remove any sweat/dirt buildup. Maintaining the internal material is generally more important though, as it’s the most delicate area of the glove. Womens’ boxing gloves with a Velcro hook and loop strap. This is another area where you have two simple options: Velcro (normally called a hook and loop strap), or laces. Velcro is the best option in most cases, especially for beginners. These closures make it incredibly easy to put on or take off your gloves. By contrast, you’ll need someone to help you put on gloves secured with laces or tape. The benefit of laces is they provide an incredibly snug, secure fit. They make it possible to get your wrist completely straight, and are much tighter than Velcro. Ultimately, it’s worth considering laces for sparring or competition, since you’ll have someone around to help put them on. But in most situations, it’s much more convenient to use gloves with a Velcro strap. What makes a comfortable boxing glove? It’s not just padding you’ve got to worry about here. The last thing you want is to be distracted mid-fight by uncomfortable boxing gloves. Here are some features to look out for if aiming to maximize comfort. The right fit. Having your hand move around inside your glove can actually be dangerous, not just uncomfortable. Likewise, gloves that are too tight will cramp your knuckles, which won’t feel nice at all. Ideally, the fit should be pre-curved to the point where it takes very little extra effort to make a fist. Awesome ventilation. All boxing gloves are made with a really tough outer material, which isn’t really conducive to keeping your hands nice and cool. As a result, boxing gloves get really sweaty after an intense training session. Look for a mesh palm, or a palm with at least a few ventilation holes. A grip bar. This is basically a straight piece of material you hold onto inside the glove as you clench your fist. It makes it a little easier to keep your hand in the right position and prevents it shifting as you punch. Some people prefer not to have this feature though – it’s a matter of personal preference. The old guard – brands which have been around forever, like Everlast and Winning. The new kids on the block like Hawk – companies which were only established in the last five years or so. Neither is strictly better than the other. However, if you’re looking at these smaller brands, you should double-check to ensure that the quality is up to scratch. Some newer companies actually make some of the best gloves out there – it’s just a matter of finding the diamonds in the rough. On the other hand, if you buy from a really well-established company, you know you’ll be getting a fantastic-quality pair of gloves. But you may have to pay a premium for them – newer brands typically have the best value-for-money deals. This is the end of our boxing glove buyer’s guide! Still not quite sure what gloves would suit you best? Drop us a comment using the box below and we’ll get back to you ASAP.